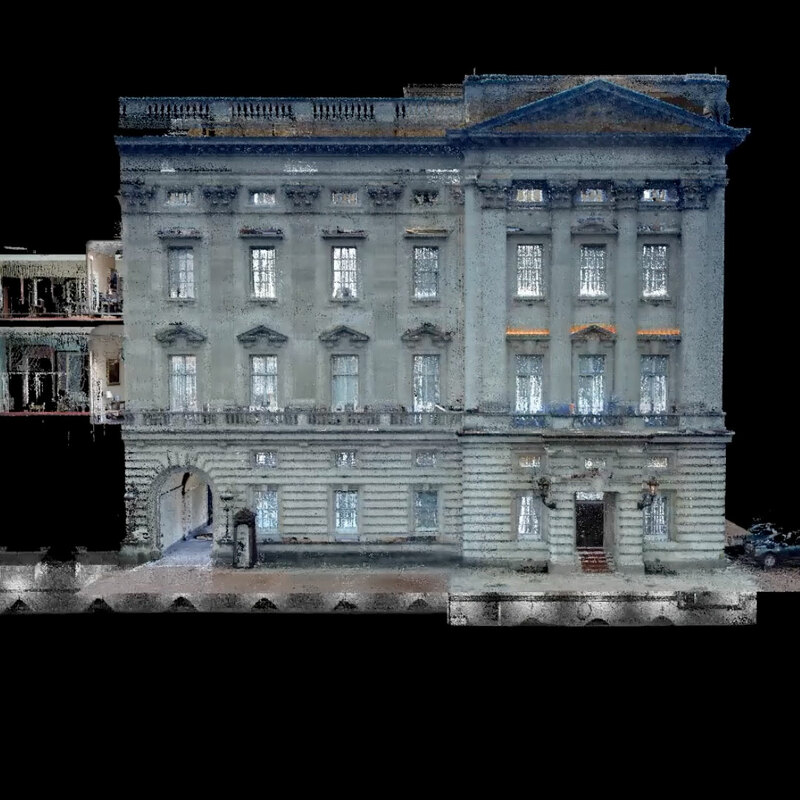 A new film shows how Point Cloud surveys are being used to help design changes to Buckingham Palace as part of the Reservicing programme. 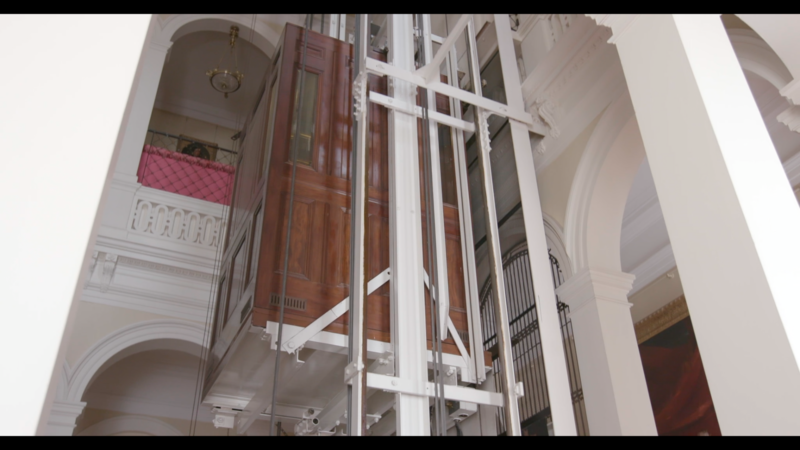 In particular, it demonstrates how this technology is being used to help design new lifts to make the Palace more accessible and more efficient. Point Cloud technology uses lasers to scan and measure rooms. The collected data is then turned into 3D computer images, which can be used to help architects to effectively plan and design alterations to a building. 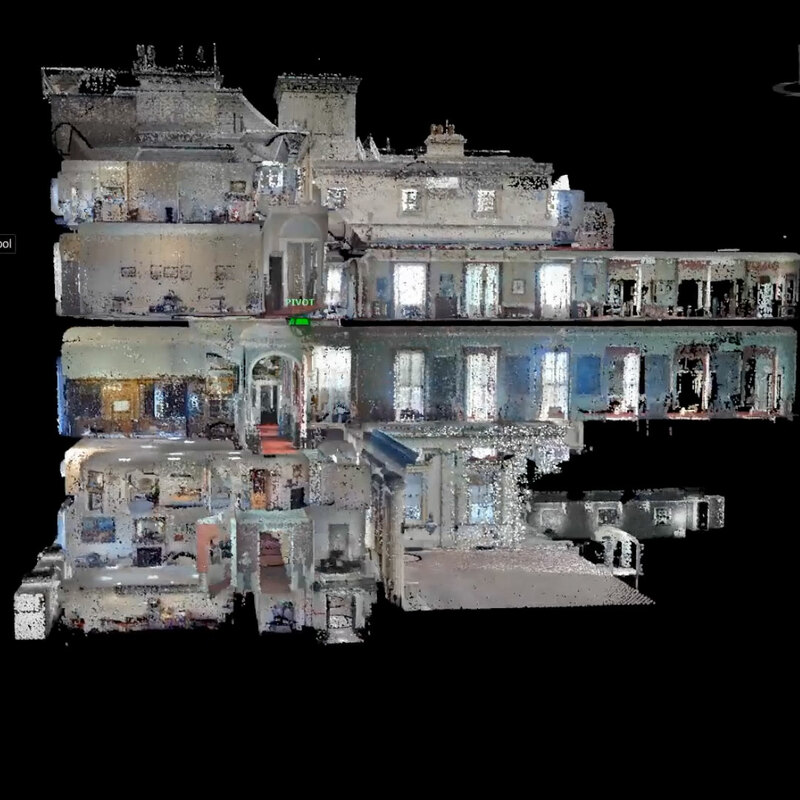 Point Cloud surveys have been used to map approximately 400 rooms and 515 metres of corridor in the Palace. Using this technology has allowed The Royal Household to gain information and insights into the building that we have never had before. This will help to ensure that changes made during the Reservicing programme will allow the Palace to function better, whilst protecting one of the most iconic buildings in the world. A greater understanding of the building also means that smart, cost-effective decisions can be made before building works take place. One way in which Point Cloud is being used is to help design new lifts at the Palace. There are currently nine lifts, many of which are small and impractical. This has an impact on how people can get around the building. Newly designed lifts will have number of benefits. Firstly, they will allow the building to be used more efficiently in the delivery of day-to-day operations and events. The film reveals the current route staff have to take when delivering food from the kitchens to the Chinese Dining Room. The lifts, alongside two redesigned entrances with wheelchair ramps, will also improve access for staff and over half a million people who visit the Palace annually. Improving how the Palace functions, and how the building can be accessed, will be two key results of the Reservicing programme, as outlined in the Royal Trustees' Report of November 2016.